By 1972 Byron had gain some very valuable ministry experience. For three years he volunteered with the University of California, at Davis, Campus Crusade for Christ student movement, leading out in student worship, music evangelism and discipleship. He also participated in and directed international summer music teams in over 20 nations with the Continental Singers music evangelism ministry. And, while Youth Pastor at a growing San Francisco East Bay Area church, developed a vibrant youth music ministry active throughout that region. September, 1973 found a new ministry incorporated, Hineni Ministries; its two ministry divisions became Jews for Jesus and Byron Spradlin–what was later to become Artists in Christian Testimony Intl—both efforts committed to creative evangelism, cross-cultural ministry, and the discipleship of creative ministers dedicated to world evangelization. Then came Doug Hanks–the first Christian musician and worship leader asking Byron to formally mentor and disciple him in ministry. He appeared on Byron’s doorstep in Portland, Oregon in fall of 1975. So, by January 1976 Byron, with Doug’s encouragement, labeled his ministry assignment Artists in Christian Testimony Intl–the organization behind his vision to integrate artistic and oral communication of the Gospel into the ministry strategies of missions, local churches and the market place. From 1975-1980 . . . A.C.T. Intl sent out summer music evangelism teams under the names “Song of Praise” and “New Song” As many as five teams were out in the summers by 1979 & 1980. They ministered throughout the US and Honduras. These teams also placed a strong emphasis on ministry training for the talented participants. In October 1980, A.C.T. Intl closed off the summer touring program, moved its offices to Dr. Ralph Winter’s “US Center for World Mission” in Pasadena, CA. This move launched A.C.T. 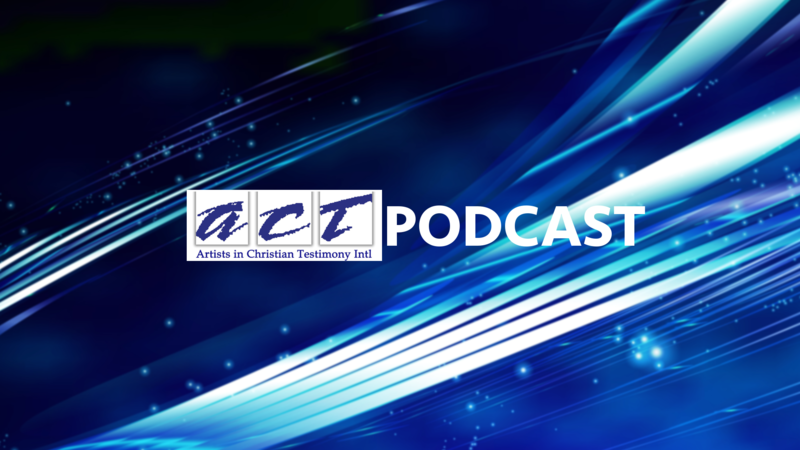 Intl and Byron Spradlin into a focus on missions, and the role of culturally relevant worship in church growth, church planting and the broader endeavor of ‘worship and the arts in world evangelization. Many mission thinkers today realize the need to develop ministry methodologies other than the Western styles of lecture and the literary. The unchurched world is largely non-literate and unresponsive to communication styles developed in Western church and missions’ sub-cultures. One of the keys to penetrating a community is through worship styles and communication geared to that particular people. Because of this need, in 1986, under the mentoring of Dr. George Patterson (CBHMS), Central America missionary pioneer, Reverend Spradlin launched A.C.T. Intl‘s church planting emphasis, Church Planting International, (CPI). CPI—trains and sends out church planters committed to a biblically integrated ministry strategy of multiplying churches among the un-reached peoples and communities of the world while emphasizing indigenous evangelism, worship and Christian community formation. Also in 1986, to demonstrate the importance of artistic communication in local church ministries and church planting strategies, A.C.T. Intl helped plant the New Hope Community Church in Rancho Cucamonga, CA under Byron’s pastoral leadership. In the fall of 1990, enter Robin Haines Merrill, a visual artist doing missionary work in Manila, Philippines. Robin was (and still is) working in evangelism among prostitutes (getting them into craft-oriented cottage industry), the encouragement of Christian visual artists, and evangelism through the arts. She came to A.C.T. Intl asking to access the A.C.T. Intl ministry organization as the home base for her ministry, the Christian Cultural Development Foundation. By January of 1991 Robin was accepted as A.C.T. Intl’s first foreign arts missionary specialist. This small step actually moved A.C.T. Intl into becoming one of the first interdenominational missionary sending boards specifically designed to send out arts ministry & missionary specialists. There are currently 349 Ministry Departments comprised of 500 people serving as ministers, missionaries, and arts-ministry specialists in over 30 countries.